Second, I love the taste of fresh veggies and fruits. Nothing beats it. I especially love the taste of homegrown food in the middle of winter. My frozen tomatoes are far superior to the canned stuff from the grocery store. Completely changes the taste of soups and chilis when things get cold. Third, and perhaps most important, I’m passionate about locally sourced food, knowing where my food comes from, and sustainable eating. I am NOT perfect about this. But I try. Not only does locally sourced food taste better (because it can be picked ripe), it’s better for the planet. That isn’t to say that I will start raising my own meat (nope…nope, nope, nope), but I will be happy to enjoy my own produce! Besides, locally sourced, sustainably raised meat? That’s what farmer’s markets are for. 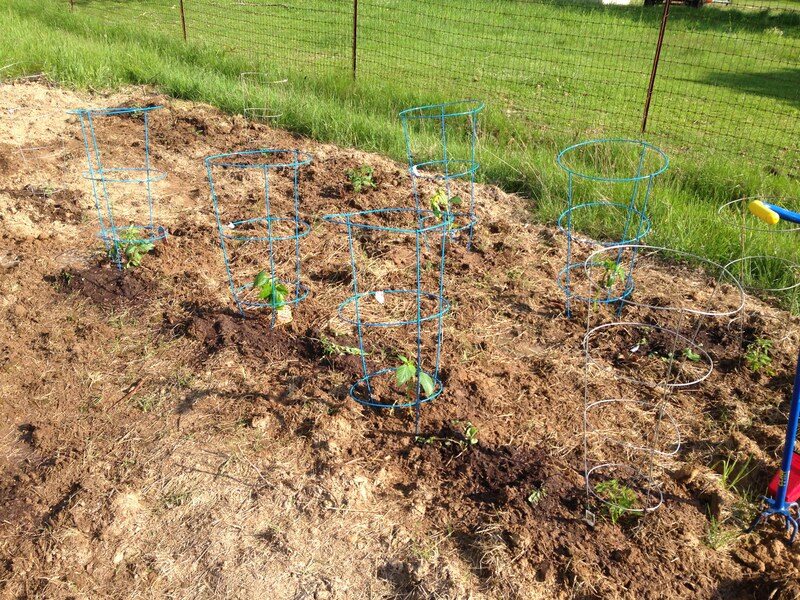 Anyway, Katie and I started planting on Sunday. 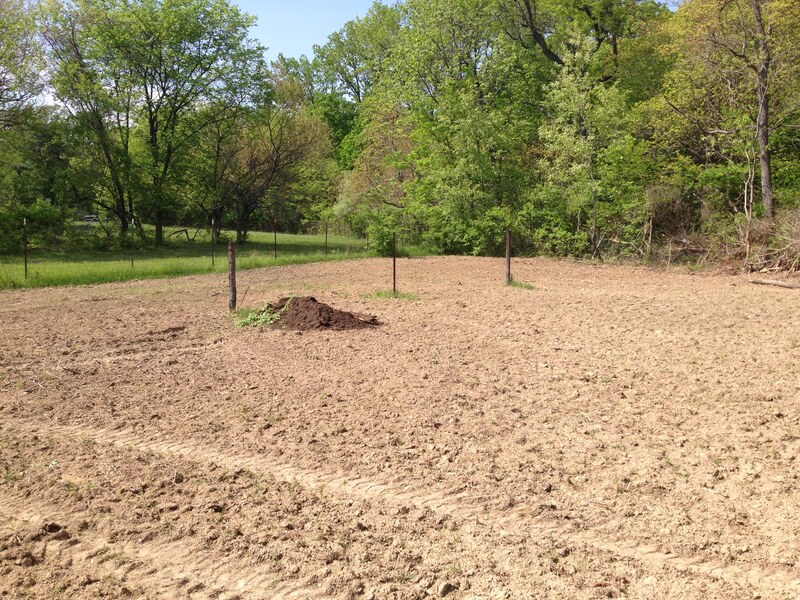 We basically planted until we were exhausted, which was about halfway done. 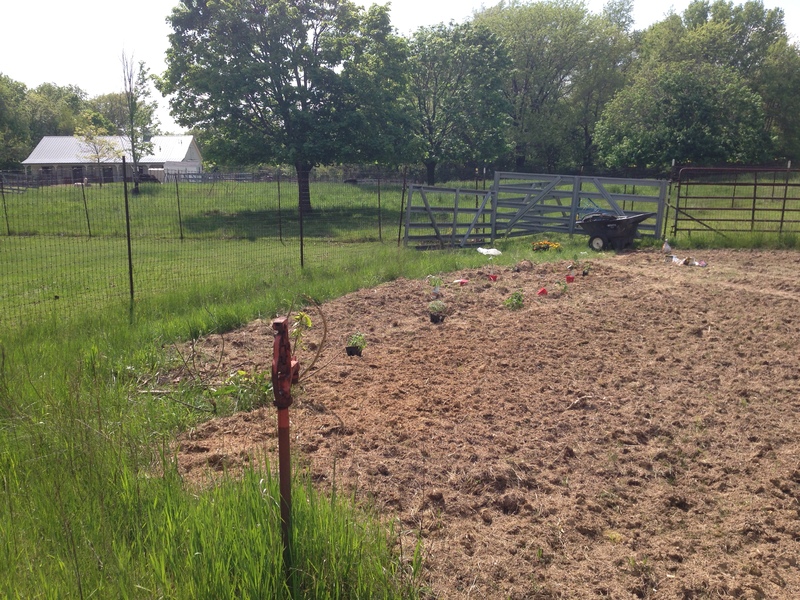 The garden space, which my lovely husband tilled up for me a few weeks ago. Three cheers for my guy! The garden is fenced on all sides. It’s as big as it looks. The soil is passable right now. In a few years, with the help of plenty of compost, it should be fantastic. Rhubarb. I planted it in the corner where it can root nicely and not be disturbed when everything else gets tilled up in the fall. 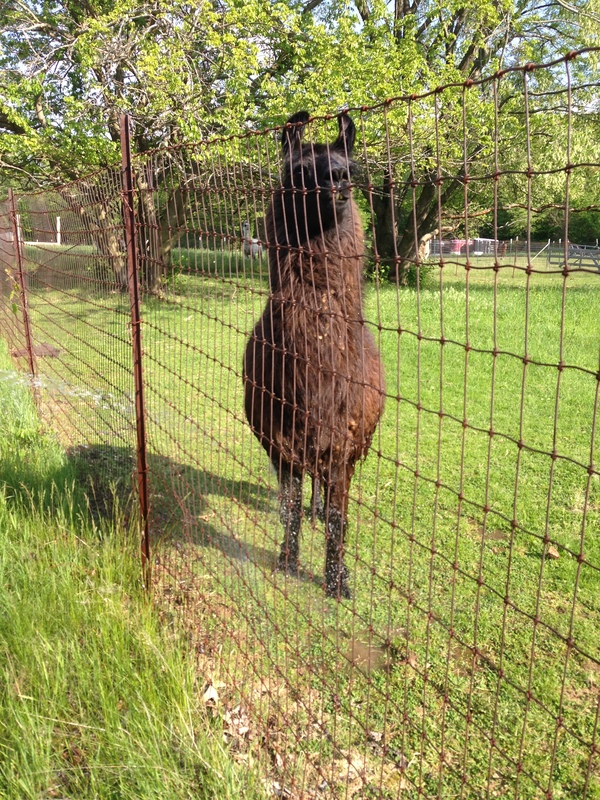 The garden is surrounded by pastures, so we were surrounded by curious llamas as we planted. Even Cinco (one of my horses) stood at the corner of his field to watch us for a while. Jackpot standing for the hose. This boy, especially, hung around. As soon as we started watering, he came over to request that this legs be sprayed (if you look really close you can see the water from the hose in the above photo). He then played in the water for several minutes. 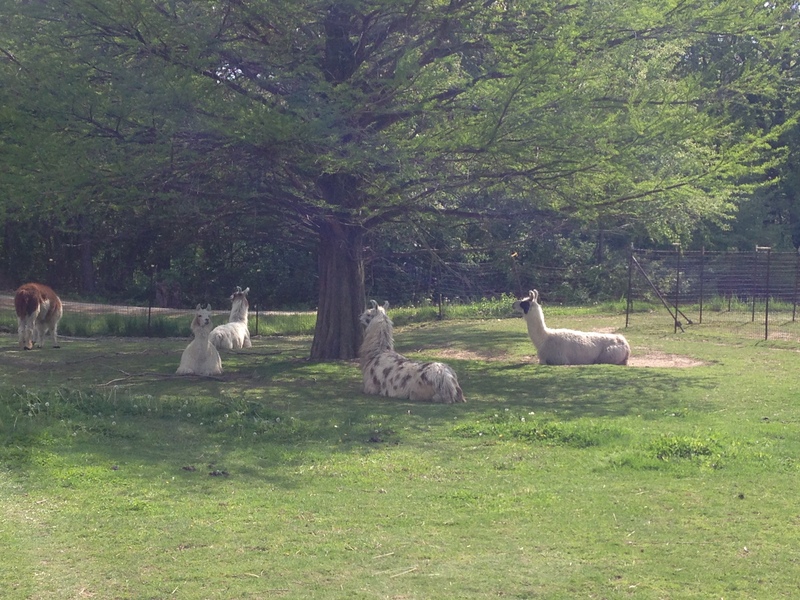 Llamas love water! I will have more tomatoes than I will know what to do with. By the end of the day, Katie and I had planted pumpkins (two varieties), lots of squash, cantaloupe, watermelon, rhubarb, four varieties of tomatoes, tomatillos, and peppers. 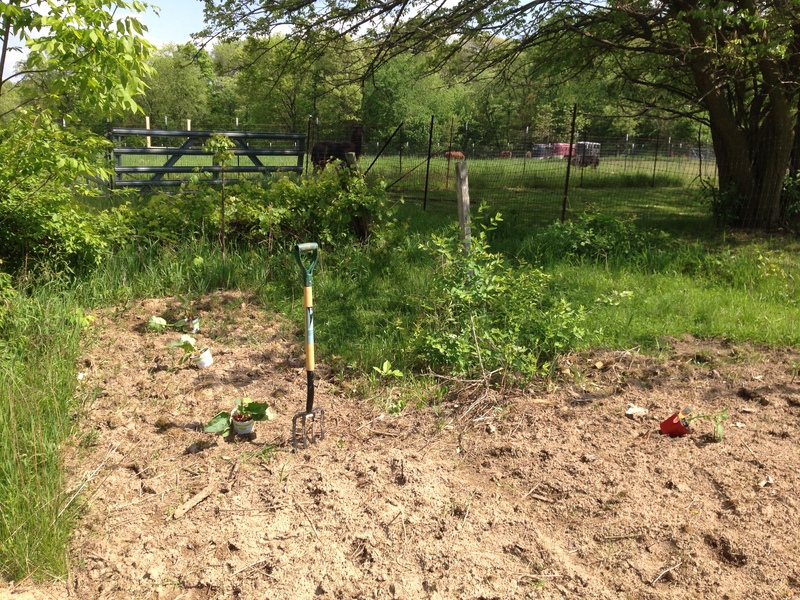 We still have a bunch of planting to go…but it’s a start. 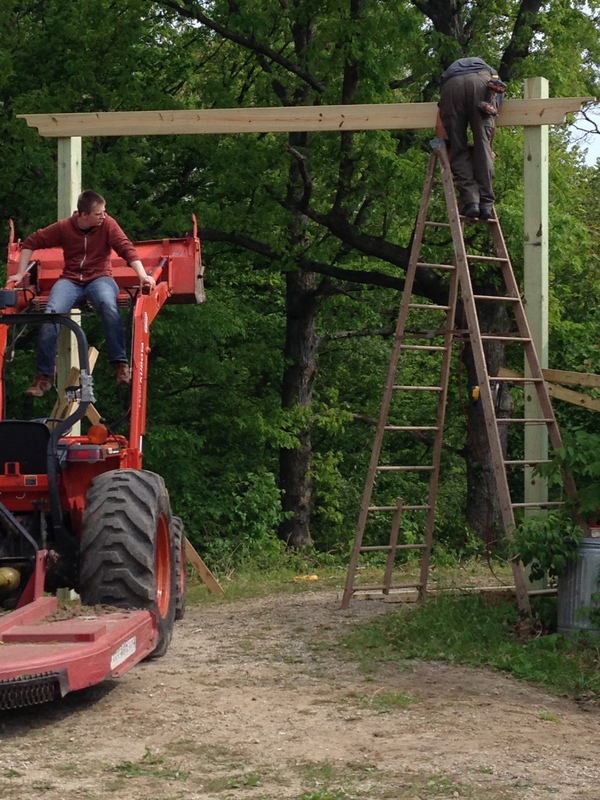 This gate/fenceline was started over the weekend as well. I asked my husband for a dog fence with a pretty gate. He is giving me the gate to the Mongolian Empire. I will update you as that project progresses. This is so awesome. Can I come live with you, Katie & Jeremiah? Once more Cook couldn’t hurt, right? But seriously, you and Megan must make time to visit this summer! It’s only three hours!